Now you can experience the difference a Remote Trainer can make. 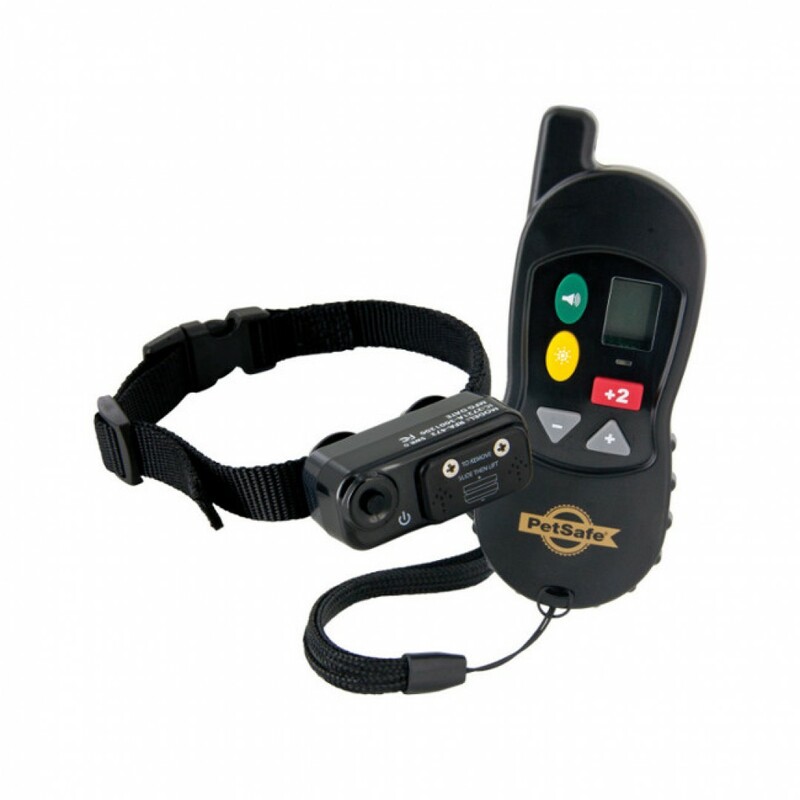 The PetSafe Little Dog Remote Trainer is easy to use with an advanced digital display that tells you exactly what level of electrical stimulation you are using. Control your pet without a lead within a range of up to 100 metres. The Remote Transmitter sends a signal activating your dog’s Receiver Collar from which he receives a safe but annoying static stimulation. He’ll quickly learn the association between his behaviour and your training; in no time, you’ll have a better-behaved pet. Using the Remote Trainer consistently and correctly, any basic obedience commands can be taught and many misbehaviours that your pet exhibits can be corrected.